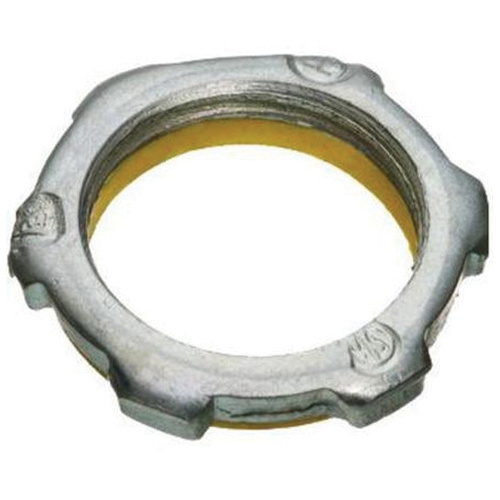 AMFI Spec-Grade™ Sealing locknut of trade size 1-1/4-inches, is suitable for use with rigid/IMC conduit. This locknut has thickness of 0.32-Inch. It features steel construction and zinc-plated finish that offers better resistance to corrosion. It has superior clean threads for full torque without distortion. Locknut is UL listed, RoHS compliant and meets NEMA standards.